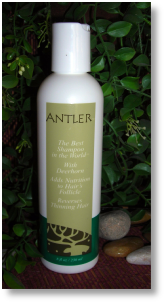 Antler’s Hair shampoo unique formula gives this product a very high standard of qualities and its recognition of one of the better shampoo on the market worldwide. 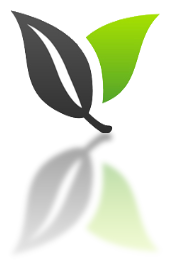 - Reduces or stop hair loss with the first application. - Stops breakage of dry, Bleached, Relaxed, or tinted hair-instantly! - Reverses aging hair to youthful hair-instantly! - Automatically reverses thin bodied hair to very heavy hair instantly! 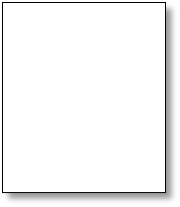 - Improves color Natural or applied, with the first application. 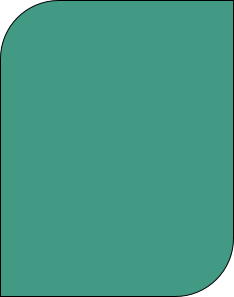 - Stop color fade Instantly! - Heals split hair Instantly! 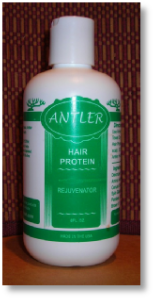 Antler Hair Protein's Blend of hydrolysed protein, herbs and Deerhorn replenish lost nutrients and moisture that has been depleted by chemical, environmental and other abuse.